b. June 20, 1921 Johnston County, NC d. Feb. 18, 2009 Chattanooga, Tenn.
James "Jimmy" Harding Stancil, Josiah Branch, son of Leumos Stancil, grandson of Josiah Stancil dies. Jimmy was born on June 20, 1921, in a tenant house on Josiah's farm in Johnston County, NC. He was the oldest son of Leumos Waverly Stancil and Sarah Ethel Harris. Jimmy died after a short illness. He was hospitalized in early December with liver problems. He recovered, spending Christmas with his children Jimmy II, Anne, David, Danny, and their families. This reprieve did not last long and Jimmy reentered the hospital. Jimmy died surrounded by family on Feb. 18, 2009. Jimmy's funeral was held at 11 in the East Chapel of Chattanooga Funeral Home, Saturday, Feb. 21, 2009. Allen Brooks, husband of niece Debra, sang Jimmy's favorite song, "In the Garden." Jimmy will be buried beside his beloved wife Flo in the Chattanooga Memorial Cemetery with full military honors. He did not choose to be buried in the National Cemetery because he wanted to be buried beside Flo and his mother. Jimmy leaves behind a daughter Anne Stancil Langston, sons James "Jimmy" Harding Stancil II and wife Phyllis, David Michael Stancil and wife Gerri, Daniel Stuart Stancil and wife Cindy, daughter-in-law Sandra Stancil; grandchildren Elizabeth Wood Langston Pierce and husband Stephen, Marcus Stancil Langston, Laramie Jo Stancil Werner and husband Brian, Meghan Elizabeth Stancil, Daniel Stuart Stancil II, Tanner Gamble Stancil; great grand children Lily Angela Pierce, Anden Allen Werner, Brylar Jo Werner; brothers Paul Edwin Stancil and Harold Stancil, sister Gloria Maxine Moore Burgess Woods and husband Jim; nieces Debra Sue Stancil Horton Brooks and husband Allen, Allison Kay Stancil Bass and husband John, Gayle Lee Rowles McKane and husband Joe; nephews Paul Edwin Stancil II and wife Jennie, "Chris" Harold Stancil II, Russell Alan Stancil and wife Melissa, David Tyler Stancil, Charles W. Moore II, Timothy Levi Burgess, William Thomas Rowles II plus many nieces and nephews. Jimmy joined us for the 2008 Stancil Reunion. Over the years he brought the Stancil Clock, a wedding gift from John Thomas Stancil to his wife Delanie, to several Reunions. Tom and Delanie were married on July 15, 1860. Jimmy retired from the U.S. Postal Service in 1991. He was preceded in death by his wife of 54 years, Edna Florine Wood, who died April 21, 1998, son Phillip Anthony, who died July 5, 2007, and younger sister Billy Jean Stancil Rowles, who died on Oct. 20, 1986. The earliest Stancil Reunion Jimmy remembers was in 1928. He was playing chase and fell into the tub of lemonade. Uncle Harvey pulled him out, admonishing all of them with a twinkle in his eye. Six-year-old Jimmy lived with Josiah and Minnie while his pa sold Rawleigh products in Nashville, N.C. Jimmy recalled getting into a wasp nest at Josiah's farm. Josiah treated the numerous stings with tobacco juice from his chewing tobacco. He went to Kenly School with Aunt Leafy and Aunt Mozelle. Jimmy became angry with his teacher close to end of the school term. He turned over an ink well; it spattered her dress. He quickly ran out of school. Later he declared to Minnie, "I quit school!" His report card came in the mail and he had passed. In 1927 Leumos and Ethel arrived at grandpa Josiah's house with Jimmy, Paul, Harold and Maxine for a square dance celebrating Minnie's birthday. The children were put to bed in the bedroom that opened onto the large back porch where the dance was held. Great Uncle Alvin played violin, Great Uncle Henry played the fiddle, Great Uncle Harvey played Banjo, Leumos and Great Uncle George the Autoharp. Neighbors attended as well as family. Josiah served homemade peach brandy, a real treat. Jimmy, Paul, and Harold watched through the screen door. The musical group had their backs to the bedroom. They had a jug of brandy they passed around. As a new song started the jug was put down close to the door. Jimmy opened the door and slipped out. He put the jug to his lips and drank the sweet brandy. It wasn't long before Jimmy stood up and began dancing to the music. Suddenly he moved to center stage and did the do-si-do in front; He was greeted by clapping and left with a life long memory. In 1929 Leumos moved his family to Wilson, NC, and worked for Wilson Stockade. Jimmy and brother Paul were riding in the back of a truck at the Stockade while younger brother Harold was sitting in the cab. Jimmy noticed Harold slumped over and yelled for Harold; he wouldn't wake up. Toxic fumes drifted into the cab through holes in the floor. "5-Spot," a prison trustee, heard Jimmy. "5 Spot" picked up his ball and chain, ran and yelled for Leumos. Quickly Leumos arrived and revived Harold using mouth to mouth resuscitation, a skill he probably learned in the Army. While in Wilson, Jimmy often played with cousin Durward and Fernie Stancil, Elbert's sons. Jimmy recalled that one day after school, they all got muddy playing in a culvert. Elbert spanked all of them. Leumos moved his family to Chattanooga when Jim was eight. In 1934, cousin Ralph Stancil, who was foreman of a California ranch, visited. Ralph wore boots, cowboy hat, and chaps. Jimmy and Paul told friends, "We have a real life cowboy in the family." During this time, cowboy Tom Mix was popular at the movies. Jimmy's first job was selling the weekly Grit newspapers. He, along with brothers Paul and Harold, worked as caddies at the golf course as soon as they were large enough to carry a golf bag. Tips provided spending money. Josiah never had a child graduate from high school. He encouraged Jimmy with a promise he would pay for his college education at the University of North Carolina or Duke. Jimmy graduated in May 1939. Josiah died in July 1939 and Jimmy's dreams of college were dashed. He did attend the University of Chattanooga for one year before the war broke out and he enlisted. Jimmy served as a merchant seaman from Oct. 19, 1942, to May of 1946. He served aboard the sailing vessel the Joseph Conrad, USS Roger B. Taney, USS John A Dix, and USS Frederick Remington. Ports of call included St. Petersburg, Fla., Sheepshead Bay, New York, Mediterranean Sea, Indian Ocean, Baltic Sea, and locations in the European Theater. Jimmy attained the rank of Lieutenant Junior Grade. Jimmy married Flo in his family's Chattanooga home surrounded by his parents, siblings, and Flo's parents. Flo's cousin Louise Wood Wilcox, who married exactly one year earlier, was excluded because it was believed a pregnant woman at the wedding jinxed the marriage. Jimmy and Flo joined the Pan Gap Baptist Church and later joined Lookout Valley Baptist Church. Jimmy was an active member of the Lookout Valley Lions Club and the Merchant Marines Veterans' Club, serving as the secretary-treasurer. Jim taught all the children to play cribbage and dominoes, and taught Anne to play "Mary Had a Little Lamb" on her toy piano. He was very musical playing the auto harp, mandolin, harmonica (French harp), and piano. He loved bluegrass concerts and gardening. Among Jimmy's favorites that he sang were "Maria Elena," "Scatterbrain," and "Over the Waves." Jimmy encouraged his children's musical ability, and they all took piano lessons. Family gatherings included plenty of pickin' and singin'. Jimmy often took Jimmy II, Phillip, David, and Danny on fishing trips to the Tennessee River (about two miles from the house). A highlight was cooking fish on the river bank. Jimmy's favorite pet was a flying squirrel he named Gregory. Gregory loved snuggling in Jimmy's pocket. Dogs and cats in Jimmy's neighborhood, many homeless, knew they could depend on Jimmy for a daily meal until he entered the hospital. Dancing was a passion Jimmy and Flo shared. They loved to Jitterbug and foxtrot. They also loved to dance on skates. After Flo died Jimmy continued dancing. On Saturday nights you would find him at the East Ridge Town Hall kicking up his heels. He was a favorite partner of the ladies. Under Jimmy's leadership, he and other men from his church joined to start a mission at the lower end of Lookout Valley in January of 1955. Jimmy always gave credit to God saying that he was led by the Lord. On May 1, 1956, this mission became the Riverside Baptist Church. It still thrives today. Jimmy became its first Sunday School Superintendent. On June 18, 2006, Jimmy was honored by speaking at the 50th anniversary of the Riverside Baptist Church. These remarks about Jimmy were included in the Anniversary Booklet, "Mr. Jim Stancil, I feel, answered God's call to start those Sunday school classes. I'm sure his humility, love, and compassion left an indelible impression on many lives." Jimmy's eyes lit up whenever he saw one of his kinfolk and they shared a warm embrace. His Stancil roots ran deep. His children lost their hero and the Stancil Family lost a beloved member. Jimmy left a legacy of love that extended far beyond his family to the children of lower Lookout Valley and beyond. For more on Jimmy's military career, go to http://lcweb2.loc.gov/diglib/vhp/bib/26535. Ollie Eugene Mosley, of the Tempy Ann Branch, died on April 7, 2009, at the age of 67. 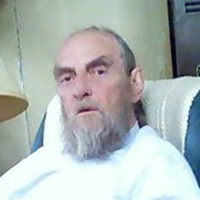 He was the father of Lisa Kay Starling (husband Jeffrey) and Reggie Eugene Mosley and the grandfather of Ollie Ray Starling and Joey Eugene Mosley. A graveside service was conducted at the Mosley-Starling Cemetery. b. Feb. 5, 1925 d. April 9, 2009 Rancho Palos Verdes, Calif.
Arthur "Art" Eugene Johnson, husband of Irene Walls Johnson, died on April 9, 2009, in Rancho Palos Verdes, Calif. He was the father of Steve, Gary, grandpa of Gina, brother-in-law of Ethel Walls Collier. b. July 22, 1952 Chattanooga, Tenn. d. April 22, 2009 Chattanooga, Tenn.
Gayle Lee Rowles Hall McKane, of the Josiah Branch, died of Chronic Obstructive Pulmonary Disease on April 22, 2009, with her beloved husband Joe and brother Bill by her side, in Memorial Hospital, Chattanooga, Tenn. She was only 56 and had battled COPD since 2000. Gayle was the wife of Joseph "Joe" Alexander McKane. She was born July 22, 1952, in Chattanooga, the oldest daughter of the late Billie Jean Stancil and William Thomas Rowles. Gayle was the granddaughter of Sarah Ethel Harris and Leumos Waverly Stancil and the great granddaughter of Minnie Sasser and Josiah Stancil. Gayle was the mother of Sara Elizabeth Thomas Hall, Kathleen "Katie" Jean McKane and Rachel Gayle McKane. Gayle had one grandchild, James George Hall. They all live in Chattanooga. Gayle leaves behind younger sister Gloria Jean Rowles Price Potter of Chattanooga, Tenn.; younger brother William "Billie" Thomas Rowles, Jr. of Apalachicola, FL; nephew Christopher William Price and his daughter Chloe; nephews Kevin and Martin McKane of Dublin, Ireland; uncles Paul Edwin Stancil of Mobile, AL; Harold Stancil and wife Elizabeth of Marietta, GA; aunt Gloria Maxine Stancil Moore Wood and husband Jim of Fort Lauderdale. Gayle will be missed by many cousins and their families: Anne Stancil Langston; Elizabeth Langston Pierce, husband Stephen, and daughter Lily; Marcus S. Langston; James "Jimmy" H. Stancil II, his wife Phyllis; Sandra Stancil, widow of Phillip Stancil; Laramie Stancil Werner, husband Brian and children Anden and Bylar; Meghan E. Stancil; David H. Stancil and wife Gerri; Daniel S. Stancil and wife Cindy, sons Daniel S. Stancil II and Tanner G. Stancil; Paul E. Stancil II, daughters Tiffany S. Stancil Goldsmith, husband Curtis and daughters Jessica and Madison "Madi," Julie A. Stancil Bolano and sons Morgan S. Stancil and Christian “Drew” Bolano, and Paul E. Stancil III; Debra Stancil Horton Brooks, husband Allen, daughters Kerri “Dawn” Horton Bailey and son Hunter, Christy Horton Smith, husband John and daughters Hannah and Ashlyn; "Chris" Harold Stancil II, wife Robin and daughter Laura; Russell A. Stancil, wife Melissa of Dallas, GA, Allison Stancil Bass, husband John, and children Miranda and Skyla; David T. Stancil, Charles "Chuck" W. Moore II, his wife Kathy, and sons Nicholas and Tristan; Timothy L. Burgess and son Philip L. Burgess. Gayle was preceded in death by her parents Billy Jean Stancil and William Thomas Rowles, her uncle James H. Stancil and cousin Phillip A. Stancil. Cousin Anne Stancil Langston shared a love of sports cars with Gayle. One fond memory is of Gayle sporting about in her flashy red 1960 Austin Healy Sprite while Anne drove her 1968 MG midget. Gayle graduated in 1970 from Tates Creek High in Lexington, KY. She won the 1970 Kentucky State writing award and good friend and classmate Jim Varney won the 1970 Kentucky State acting award. He entered Murray College at 15. Jim Varney was famous for playing "Ernest P. Worrell" in films and a recognized Shakespearean actor. Gayle and Jim maintained their close friendship until his death in 2000. Gayle earned a BS in Psychology from the University of Tennessee at Chattanooga and received her MS in Psychology from the Fielding Graduate Institute located in Santa Barbara, Calif. Gayle loved learning and studied with a passion. Gayle, like so many of the Josiah Branch, was quite musical, singing and playing the guitar. 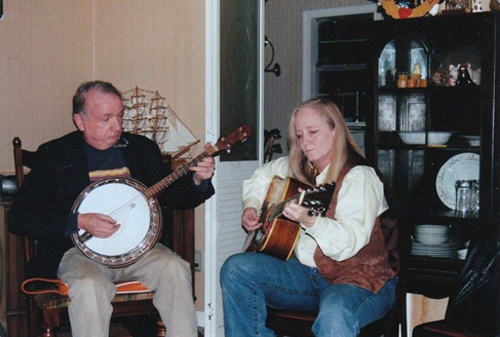 Joe, a native of Ireland, complemented her talent by playing the banjo, guitar, tin whistle, and mandolin. They often played "Cooley's Reel," a traditional Irish musical reel. Musical gatherings are cherished memories. Gayle favorites songs included "My Town" by Iris DeMent and "Danny Boy," as sung by Tommy Flemming and De Dannan. Gayle met Joe when they both had shops in the same strip mall. Gayle had a toy store and Joe had a print shop. Joe grew up in Bushmills, Northern Ireland. This quaint village is the home of the oldest Licensed distillery in the world, Old Bushmills Distillery, famous for Irish whiskey, licensed by King James in 1608. Gayle and Joe were married in the Ascension Lutheran Church, Chattanooga, on Jan. 30, 1987. Gayle and Joe honeymooned in Ireland. Gayle and Joe's favorite Church that conjures up many fond memories is a little one at Lake Lure in North Carolina. Once Gayle, admired for her skill as a tireless researcher, traveled to Nashville to research a certain plot of land on Third Street in a downtown Chattanooga cemetery, part of which was destined to be a road. Gayle was suspicious that it may once have been a cemetery of Civil War soldiers. Gayle's diligence paid off. She discovered the records pertaining to the cemetery were about to be sealed forever. Gayle searched through the ancient documents and found a map proving this was hallowed ground, the burial place of Civil War soldiers and Indians. Gayle, single handedly, stopped the destruction of the graves and preserved history. Today it is enclosed in a wrought iron fence. Gayle and Joe shared a loved and appreciation for early American toys and as a result in 1980 opened "McKane's Historical Toys & Games" in Chattanooga. This classic toys company supplies real wooden toys and unique toys from earlier times to stores around the country. Customers included Cracker Barrel, Museum Stores, including the Smithsonian, National Parks, and many gift shops. Gayle and Joe visited the Smithsonian many times absorbing our Nation's history. Because of Gayle's expertise, she worked as a HIPPA compliance officer for several companies, among them were Genesis Health Care and Bacon Products. Gayle spent the last seven years working with another psychologist, Dr. Laura Gladson. She felt her mission in life was to help people. On Easter Sunday, three days before Gayle entered the hospital for the last time, she drove to Ringgold, Ga., to help a client through a maze of Social Security disability papers. Gayle spent three years doing researching for a book about preservation of antique linens, lace, photographs and documents. Her cousin Anne assisted with the editing. Unfortunately Gayle died before it could be published. Gayle wore many hats and had many interests. She was recognized for her efforts to preserve history. Gayle possessed a keen intellect along with a healthy dose of perfectionism and desire to make a positive difference. Gayle freely gave friendship and love. Helping ease burdens was her passion. Gayle found particular comfort in the 23rd Psalm, a favorite of both Gayle and Joe. Family and friends cherish memories of Gayle that will on forever. Gayle's life will be celebrated on May 23 at Joe and Gayle's home in Chattanooga. It was her desire that ashes placed with her parents at the "Duck Pond" also in a special Memory Garden built by dear friend Barbara Wilson within the Genesis Garden behind Genesis Home Care and the remainder taken to Bushmills, Northern Ireland, a place of love, joy and hope. Gilda Gray Renfrow Six, George Ira Branch, granddaughter of George Ira Stancil Sr., daughter of Celia Rachel Stancil and James Graydon Renfrow dies at 78. Gilda, born Jan. 19, 1931, died Sunday June 7, 2009, after a long battle with Recurrent Renal Cell Cancer. Gilda was first diagnosed and treated for renal cancer in 1990. Gilda led a productive life until 2007. Gilda's visitation will be held Tuesday, June 9, 2009 6 pm to 8 pm at Minshew-Coley Funeral Home, Kenly, NC. Burial will be on Wednesday, June 10, 2009, 2 pm at the Springhill Presbyterian Church, Lucama, NC. 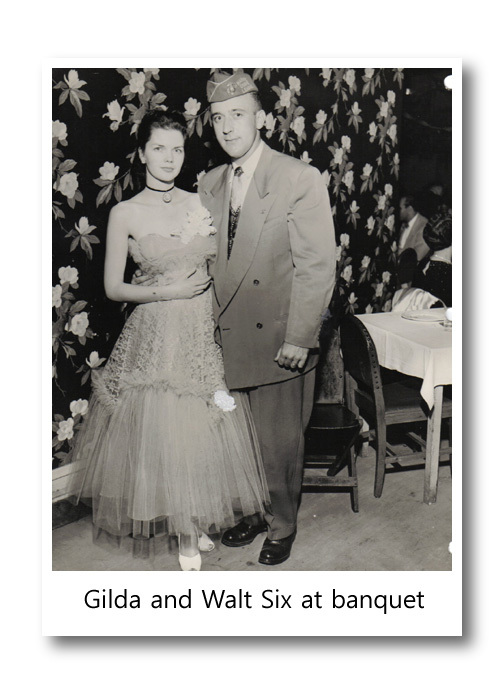 Gilda, a long time member, will be buried beside her beloved Walt in the Springhill Church Cemetery. Gilda leaves behind two sons Walter Matthew Six and Walter Derek Six of Lucama; brothers 'Jimmie' Donald Eugene Renfrow of Chicopee, MA, "J.G." James Graydon Renfrow, Jr. and wife Denise of Lucama, Harold Thomas Renfrow of Lucama; nephews Vincent Thomas Renfrow & wife Misty and children MacKenzie & Kay; nieces Donna Jean Renfrow Burns & husband Robert and children Alexis & Nicholas, Meredith Renfrow Braswell & husband Nicky and children Thomas Strother, Rachel Strother and Will Braswell, Lisa Renfrow Fisher & husband Sanford and daughter Michelle, Katherine Renfrow Williams & husband Steve and daughters Abigail and Katie, Michelle Renfrow Smith & husband Tim and son Joey Pope; plus many other cousins. Gilda attended the 2008 Reunion along with other family members - Meredith & Nicky Braswell and children Rachel Strother, Will Braswell, J.G & Denise Renfrow, Harold Renfrow, Michelle Smith and Joey Pope, Vince & Misty Renfrow and children MacKenzie & Kay, Katherine & Steve Williams and children Abigail and Katie. Gilda was preceded in death by her husband of 53 years Walter Ellsworth Six, who died on April 29, 2005, and by son Walter Mark Six, who died March 9, 2007. Gilda Gray Renfrow Six was delivered by Dr. Hackney and Miss Mattie Ward, a midwife on Jan. 19, 1931. She joined older brother "Jimmie." In the fall of 1935, shortly before grandpa George Ira died, Gilda recalled running in to see him and saying, "I love you Grandpa," as she gave him a big hug. Gilda loved drawing from an early age. At 5 she recalled asking her ma to show her how to draw objects. Gilda recalled that Rachel drew sketches of trees and flowers. Gilda's artistic ability continued to flourish. In 1938 her favorite Christmas gifts included water colors and paper. Gilda was a self taught artist. There were no other artist in the family and none at school or in the neighborhood. One of Gilda's earliest memories is drawing. She was artistic and gifted from an early age. Her mother told her she inherited her great grandma Delaney Sasser Stancil's artistic ability. Great Grandma was talented at drawing. Gilda grew up on a farm. One of her earliest jobs was feeding the chickens and gathering the eggs. She worked in tobacco and helping her mother can jars of food to go in the barn as the tobacco was cured. Gilda graduated from Rock Ridge High School, Lucama, N.C., in 1949. She wore a floor length white dress and carried a bouquet of red roses. Graduation was held in the school auditorium. Gilda and friend Helen met Walter Ellsworth Six at a Youth for Christ Meeting in Jacksonville, N.C. The minister told everyone to sing "Heavenly Sunshine" and then turn and greet the person behind them. The person behind Gilda was Walt stationed at Camp Lejeune. Walt invited them to the corner drug store for a Coke. Helen whispered to Gilda, "No, nice girls don't go with Marines!" Gilda and Walt began corresponding. He was sent to Korea. Through letters love developed. Gilda had her first art classes in 1949 at Peace College in Raleigh. Art became her passion. Gilda graduated in 1951. Gilda worked for the CIA in the summer of 1950 and 1951. Gilda attended the Corcoran School of Art in Washington, DC. Gilda's favorite artist and painting was Rembrandt's "Jacob Wresting." Gilda made a copy of this painting about 1995. Walt returned from Korea and soon they were engaged. Gilda and Walt were married in Springhill Presbyterian Church on April 20, 1952, and moved to Walt's hometown, Sharonville, OH. Walt decided he wanted to move to Tampa, FL, and attend the University of Tampa. For the move, Gilda and Walt purchased a used shiny black 1950 Packard Hearse in Sharonville, Ohio. It was large enough to hold all of their possessions. When they stopped for gas, the attendants acted fearful and stood well away from the hearse as gas was pumped. In Huntington, WV, they stopped for a red light, a policeman waved the hearse through and other motorists respectfully stopped as they passed by. They visited NC and stopped in Ocala to see Uncle Ralph but only he had been warned ahead of time they would be arriving in a hearse. After arriving in Tampa they sold the hearse. While there Gilda visited The Ringling Museum of Art in Sarasota. It remained her favorite museum. Gilda began a Christmas tradition of sending linoleum block Christmas Cards to family and friends. These hand made cards are cherished keepsakes. Gilda's favorite artist is Rembrandt and her favorite painting is titled "Jacob Wresting." Gilda made a copy of this painting about 1995 and it hangs in her living room. In 1971, Gilda completed the 4-generation Stancil Family Tree that is on exhibit at each Stancil Reunion. Gilda earned her BA degree at Barton College. Gilda taught art for 11 years at Springhill Middle School. She taught oil painting for three years at Rock Ridge High School. Gilda also taught oil and acrylic painting at Wilson Technical Community College. In 1985 Gilda completed a beautiful mosaic titled "The Night March" of the Battle of Chosin Reservoir, honoring the 1st Maine Division's escape from 120,000 Chinese during the Korean War. This mosaic was placed in the Marine Corps Museum on the Marine Corps Recruit Depot at Parris Island, SC. In 1993 Gilda and Walt visited Korea, a thank you gift from the Korean government to those who fought so bravely for their freedom. Walt and Gilda went to Panmunjom, North Korea, where the war ended with Armistice talks. In 2006 Gilda presented a commissioned 9 by 5 foot mosaic mural of Kenly to the Tobacco Farm Life Museum. The title is "Tobacco Land." Gilda donated 2 paintings, "Early Spring Morning" and "The Mirror," to the Peace College Alumnae Art collection on the first floor of the Main Building. Gilda left a legacy of art. Many in the family have been given treasured gifts of her paintings. Gilda was the first known artist in the family. She had no role models to follow. Gilda made her own path and pursued her own dreams. Her gift to the Stancil Family of the 4-generation Family Tree is a reminder of our roots and the importance of family ties. Gilda loved being part of our family. We hold dear her smile, acts of kindness and gently spirit. Freddie Allen Stancil, Henry Branch, grandson of Henry Stancil, son of William Leonard and Maycell Stancil dies at 69. Fred, born on March 19, 1940, in Harrisburg, Va., died unexpectedly at home on Sunday, June 14, 2009, in Colonial Beach, Va. A memorial service was held at Nash & Slaw Funeral Home on June 16, 2009, Colonial Beach, Va.
Fred was preceded in death by his second wife Marcia June in August 2004. Fred cherished the six years they had together filled with wonderful memories and was totally lost when she became sick with pancreatic cancer and died. Fred leaves behind three children: two daughters Kimberly Kay Reep & husband Michael of Stafford, Va., Bridget Lynn Loebs & husband Michael of Castleton, Va.; and one son Freddie Allen Berkley; grandchildren Brittany Carol Loebs, Rachael Marie Reep and Erin Michelle Loebs; a sister Treva Marie Stancil Devers of Cape Coral, Fla.; nephew George L. Devers III & wife Tara of Colonial Beach, Va.; great nieces Brittni Nicole Devers and Breanna Lynn Devers; great nephew Kenneth George Devers; plus many cousins. Fred grew up in a large boarding house his parents owned in Washington, D.C., Leonard and Maycell eventually sold the boarding house and purchased The Blue and White Inn in Woodbridge, Va. These were fun filled years. As Fred grew up he was given more responsibility. Fred helped pump the gas and operated a fireworks stand his Dad built onto the outside of the restaurant. Fred taught Treva to ride a bike, a skill she learned quickly. Fred moved on to teach her how to tell time. No problem here. Treva and Fred had a healthy dose of self confidence by now and teaching Treva to drive the car was the next task. Fred positioned 6 year old Treva in his lap and they began the driving lesson. Driving a car proved to be too much of a challenge for Treva and brakes were put on her driving career after she hit the front porch of the restaurant! Fred was close to his dad and frequently accompanied him to family reunions in the 1940s and 1950s. Fred attended Garfield High School which opened in 1951 in Woodbridge, Va. Fred, with an eye towards the future, dropped out before graduating. Fred worked for a time as a government purchasing agent. Mutual friends introduced him to Dorothy "Dottie" Kitts. In 1960 they were married in Arlington, Va.
Fred eventually went into business for himself opening a heating and air conditioning business. After a business downturn, he gave up the business. Dottie and Freddie eventually divorced. One fond memory of daughter Kim was watching him play pool. Once he received a special pool stick and Fred gave this to Kim who treasures it. Fred loved the outdoors and introduced Bridget to camping. He gave her a 4-wheel drive Jeep which she still drives. Passions included tinkering on his cars, fishing for Rockfish and driving his speed boat he enjoyed when he lived in Florida. Fred was working as a heating and air conditioning mechanic when he met Marcia June Gensmer Watz. Marcia was working in the kitchen at the Moose Club Lodge. Fred was a regular. They quickly became a twosome. They married in 1998 and moved into Marcia's Colonial Beach, Va., home. Freddie and Marcia were soul mates and shared a love of nature and enjoyed watching sunsets. Fred and Marcia scouted out locations with the prettiest and most spectacular sunsets. Two favorites were The Point on Monroe Bay in Colonial Beach, Va. and George Washington's Birthplace at Wakefield south of Colonial Beach where they lived. After work Fred enjoyed meeting friends at the VFW, playing pool, cards and having a cold beer. Freddie and Marcia visited with Fred's relatives in West Virginia. Fred retired when Marcia developed cancer. He did everything he could to help her fight cancer, from taking her to frequent doctor appointment in Richmond, Va., to holding her hand and giving her loving support. Fred was grief stricken when Marcia died. Marcia brought stability to Fred's life and they shared a special bond. Adjustment to life without Marcia was a bit easier because he had his beloved Scooter. In 1999, daughter Bridget gave Fred a beautiful black lab puppy Fred named "Scooter." Scooter has been his constant companion. Fred included 'Scooter' in his e-mail address. Close friends of Fred who knew "Scooter" have adopted him. Treva recently visited "Scooter" and he is adjusting well to his new home. Fred's interest in cars extended to NASCAR. He was an avid fan of Dale Earnhardt Sr. He continued to watch NASCAR and if you called him when he was watching a race, you expected the conversation to be brief! Wednesday before his death, sister, Treva stopped by to give him two pints of North Carolina Barbeque from White Swan Bar-B-Q in Benson, NC. This favorite restaurant of Fred's family boasted a 50-year-old secret recipe. Fred smiled and remarked, "You know how I love this stuff!" Folks who have experienced NC barbeque totally understand Fred's enthusiasm. We will remember Fred's free spirit. He was not religious but considered himself a realist. A realist encourage exploration, questioning, doubt, scrutiny, science, reason, and logic. Fred embraced the classic standard, "I did it my way." And he did it with a smile. He is once again with his beloved Marcia and his family members who loved him and have passed. Delia Lois Bailey Rose, Tempy Ann Branch, daughter of Delia Hill Bailey, granddaughter of Tempy Ann, dies at 79. Delia Lois Bailey Rose, of the Tempy Ann Branch, died on June 18, 2009. Lois, as she was called, was born on May 24, 1930. She was the youngest daughter and 8th child of Delia Hill and Radford W. Bailey. Lois was the granddaughter of Tempy Ann and Fred Hill. Lois was diagnosed with ovarian cancer in 2003. She was treated at Duke University Hospital in Durham, N.C. Lois had periods of remission only to be followed by resurgence of cancer. Lois died at the Carrol S. Roberson Hospice Center, Fayetteville, N.C., after battling cancer for six years. Rev. Lewis Godwin conducted the graveside service at the Bailey Family Cemetery in Johnston County on Saturday, June 20, 2009. Lois leaves behind a son Donald Glenn Rose Jr. of Middlesex and a daughter Tonya Dawn Rose Crocker and husband Tracy of Kenly; a sister Sudie Bailey Sullivan of the Brian Center in Wilson and brother Fletcher Bailey of Middlesex; nieces Ella Narron Everette, Hilda Johnson Aldrich, Eloise Bailey Edwards, Jeanette Bailey Hawley, Sandra Bailey Benson, and Delia Bailey Wagner; nephews Bruce Narron, Willis Narron, Albert Johnson Jr., James Johnson, Charles Johnson, Bobby Davis, Billy Ray Sullivan. Archie Wayne Bailey, and Johnny Bailey Jr. plus many cousins. Lois was preceded in death by son Ronald Lynn in 1961. He died of bronchial-pneumonia and gastroenteritis when he was just over a year old; siblings Annie Bailey Narron, Esker Bailey Johnson, Sallie Bailey Davis, Rector Bailey Boykin, Archie Bailey, Bill Bailey; nieces Gladys Narron Liles Alford, Evonne Narron, Lucille Johnson, Linda Johnson Davis, Edith Boykin, Joan Boykin Mosley, and Claire Bailey; nephews Rexall Narron, Wallace Narron, Rayford Davis, and Redger Jackie Boykin, Jr.
Lois was delivered by Dr. Powell of Middlesex. She was the only child with red hair. Later her hair turned a pretty brown. Lois grew up on a farm managed by her widowed mother. Lois was just 5 when her father died at 49 years old of a cerebral hemorrhage in 1935. Even at this tender age, she was expected to work the fields, hand tobacco, and pick cotton. Her older brother and sisters kept the family's carbon light plant operating, the telephone line operating and moved the outhouse when necessary. Lois learned to drive a car as a teenager. Lois attended Stancil's Chapel Free Will Baptist Church. Her church home, in later years, was Union Chapel Free Will Baptist Church. Lois was only 13 when she was forced to quit school and look after her mother Delia, crippled with arthritis. Lois yearned to be the first of her siblings to complete high school and vowed to reach her goal, not sure how or when. Lois had plenty of self confidence. Her first job was as the snack bar manager at Woolworth's in Raleigh. She demonstrated competence from the start. Lois met and fell in love with Donald Glenn Rose, son of Marvin L. Rose and Bessie Barnes. They were married on Dec. 11, 1953, by a magistrate in Wilson, N.C.
Donald joined the Air force and then transferred to the Army. This meant many moves for the family. He served in both the Korean and Vietnam Wars. Lois visited him in Hawaii. Her oldest son Donnie was born in Bangor, Maine. Lois was back home in North Carolina when son Ronald was born. Donald was transferred to Germany and Lois moved with him. Donnie attended school there. Tonya was born at Fort Bragg. The last move was to Tennessee. In 1976, Lois returned to Johnston County, settling on Crocker's Nub Road. This was close to her roots and near many of her sisters and brothers. Lois started collecting china cups and sauces form foreign countries while stationed overseas. Later, she began collecting rooster related items. Over the years, Lois shared her life with several dogs; Rusty, Sebastian and Damien and a cat named Butterball. Birds and squirrels knew they would find tasty treats in her yard. She found their antics entertaining. Lois loved NC beaches; favorite family vacation spots included Holden and Topsail beaches. Holden Beach is one of the barrier islands. Topsail Beach is on Topsail Island near Wilmington. Lois was a gifted seamstress. She made and expertly altered clothes. Lois had an eye for fabric and sewed curtains for her home. Tonya marveled at her mother's ability and had to admit sewing on buttons were challenge enough for her. Lois recognized that Tonya's talents laid elsewhere. She encouraged Tonya to let her do all the alterations and hemming. Lois held quilting bees on her back porch. Sisters Sudie and Rector joined her. Lois gave Tonya one of her quilts. Music was important to Lois. She loved singing and playing the piano with older sisters Rector and Sudie. Both she and Rector had pianos. Three-year-old Tonya showed a keen interest in the piano. Rector fostered this interest by teaching her to play. Lois was partial to Southern and Bluegrass gospel music. She appreciated the PBS Mountain Stage shows. Lois grew up tending a garden. When she returned to Johnston County, Lois planted a large vegetable garden, the envy of many of her siblings. It produced such a bounty that Tonya teased Lois saying, "Now mama, don't use that Miracle Gro, keeping this garden picked is killing me!" Together with Tonya, Lois canned and froze vegetables. Home-canned tomatoes were Tonya's favorite. Lois was one of those old fashioned cooks who made everything from scratch. One of her specialties was Chicken Pastry, Donnie's favorite. Eventually, Lois realized Donnie and Tonya would only eat her chicken pastry! She set about teaching Tonya to make chicken pastry. Tonya spent years perfecting it. Just last year, Donnie told Tonya that hers was better than their mama's. Lois beamed with pride! Tonya's favorite meal was boiled cabbage with spring onions cut up and soaked in vinegar, ham hocks, and the family secret cornbread in the oven! Perfect gravy is a challenge for the most seasoned cook and Lois did it with ease. Tonya is close to getting it right. Lois and Donald separated and eventually divorced. Lois realized a dream when she earned her GED from Johnston Community College. She worked at the Raleigh DMV as a title examiner, until she retired in 1995. Lois had been looking forward to spending more time with family and friends, but shortly after retirement, realized she really enjoyed working. Lois worked for JR Tobacco Outlet in Selma until she was 72. Both a mild stroke and heart problems prompted the second retirement. Important life lessons Lois taught Tonya; to have faith in God and Jesus Christ; to never let anyone walk all over you; to be strong and proud; to demonstrate your love by little things; not to take love for granted; and to freely give those hugs and kisses! Lois taught Donnie that "If you believe half of what you see and none of what you hear, you'll be fine." She also taught the importance of family time, playful joking and laughter. Lois left a legacy of love and faith. Her smile lit up a room and warmed the coldest heart. Lois lived her faith and taught by example to place others needs above her own; to be a devotion mother, sister, friend and child of God. Her final words were "I love you, too." As you slowly slipped away. And many times we've cried. Beverly Ann Eggerling Stancil, Josiah Branch, widow of the late Harry Lester Stancil Jr., died on July 2, 2009, at 84. She bravely battled pancreatic cancer for about six months. More than 400 family members and friends gathered to celebrate Beverly's life with a Catholic service on Friday, July 24, 2009, at 11 a.m. It was held in the Notre Dame de Namur College Chapel in Belmont, Calif. A reception was held at the Notre Dame High School. 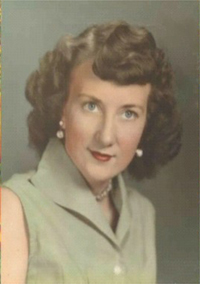 Beverly was preceded in death by her husband Harry Lester Stancil Sr., grandson Eric Martin Stancil, sister-in-law Elizabeth ‘Betty' Jean Stancil Collins, and John Craig Mahoney husband of sister-in-law Joyce. Beverly leaves behind daughter Gay Stancil of Orangevale, California, son Jeff and wife Donna, son Chuck and wife Janet of Redwood City, Calif.; grandchildren Michelle Leonhardt Fallon and husband Mike, Michael Leonhardt and wife Lidia, Jeffrey Leonhardt and wife Krystin, Kiersten Stancil Jackson and husband Rodney, Courtney Stancil, Bret Stancil and wife Kylie, Scott Stancil, Amanda and Katelyn Stillwell; great-grandchildren Jack and Joshua Fallon, Carson Leonhardt, Libby Leonhardt, Alexis Jackson, Mackenzie Jackson, Jonathan Stancil, Hailey Stancil, Madison Stancil, Jacob Stancil; sister-in-law Joyce Stancil Mahoney, brother-in-law Joe Stancil, Sr. and wife Marsha; nieces Elisa Stancil Levine and husband Chuck, Debra Stancil Stevenot, Kerri Mahoney Finley; nephews Joe Stancil Jr. and wife Doralee, Edward Stancil and wife Susan, Craig Collins and wife Susan, Brett Collins, Kelly Mahoney and wife Doreen; great nieces Vanessa Finley, Shannon Mahoney; great nephews James Stancil and wife Cathy, Alexander Collins, Kevin Collins, Logan Finley, Ryan Mahoney; great great-nieces Maeva and Maugaux Stancil plus many cousins. Beverly was born in Orient, South Dakota. Her grand parents emigrated from Germany 1882. Her dad was an auto mechanic in 1920. By the 1930 Census her father Theodore listed his occupation as college professor. Beverly, known for her friendliness and openness, was vivacious and drew people to her like a magnet. Beverly and Harry were married on Feb. 12, 1945. Harry's sisters Betty and Eleanor were bridesmaids. Beverly loved her work which began with Litton Industries in 1966 and continued when they became L-3 Communications. Beverly was dearly loved and a valuable assess to the company. They didn't want her to retire and told her she could set her own hours. This is what she did and kept on working. Beverly, Harry and Gay attended the 1980 Stancil Reunion. This resulted in Harry eventually doing the photographic work needed for the labeled of the 1902 Reunion Photograph. Beverly hosted 'Tuesdays with Beverly' for almost 20 years. These evening gathering of family and friends were filled with conversation laughter and fellowship. Niece Elisa Stancil remembers Aunt Beverly as extremely generous, funny, and smart. She was very stylish, fastidious and always had a twinkle in her eye! Aunt Beverly enjoyed the sun and kept a beautiful tan. A coupled of months ago, Bev treated daughter Gay, sister-in-law Joyce and her daughter Kerri to several fun filled days of playing the slots and relaxing at Harrah's. This was one of Beverly's favorite pastimes. The management knew Beverly and gave the group perks, including a beautiful extra large suite with two 50-inch TVs. Bev enjoyed mini vacations in her condo at Squaw Valley, close to Tahoe. Bev heard Laughlin, Nevada, near Hoover Dam, had great slots at there nine hotel casinos. She planned a visit but died before she could. In August of 1972, Josephine, Beverly's mother became very ill and was hospitalized. Beverly visited her mother, "Mom, I'm afraid you're going to die." "Well, I'm ready," answered Josephine. "But I don't want you to die," pleaded Beverly. "Then you'd better talk to God about it because that's his area!" replied Josephine. Bev left family and friends with memories of a life well lived, a life filled with laughter and joy. She touched the lives of many with her lessons of love, generosity, enthusiasm, optimism, loyalty and faith. Emma Lee Godwin Cayton, Henry Branch, daughter of Bessie Stancil, granddaughter of Henry dies at 88. Emma Lee Godwin Cayton, daughter of Bessie Stancil Godwin, granddaughter of Henry and Frances Stancil, died on July 20, 2009, in Wilson Medical Center, Wilson, N.C., surrounded by family. Emma Lee fell Thursday, July 16, 2009, in her Wilson County home and spent a day in intensive care before being transferred to palliative care. Emma Lee was in good health and very active until May 23, 2007. She had spent several hours doing yard work. When she went inside, she fell getting out of the shower. This resulted in a trip to the hospital and time in rehab. Unfortunately because of a medication error she developed a blood clot in her left leg. When she returned home her daughters, Nancy, Janie and Peggy took over her care and considered this an opportunity to be with their mother, a blessing. Emma Lee was preceded in death by her husband of almost 61 years, Earney Whitehurst Cayton. Their marriage was one many envied. They kept the spark of young love alive. Emma will be missed by her sister Esther Marie Narron, brother Billie Horace Godwin and wife Rose, sister-in-law Nona Godwin Matthews, sister-in-law Dolly Godwin; daughters Nancy Jean Baldree and husband Lee, Melba Jane and husband Roger, Peggy Joyce Carnahan and husband Wes; granddaughters Alyson Jennette Baldree, Winifred Baldree Boswell and husband Billy, Laura Lee Baldree Garrett and husband Brad, Emily Baldree Collins and husband Mel; grandsons David Allen Bynum, Adam Cayton Bynum and wife Jamie, Brett Cayton Carnahan and wife Susan, Brian Wesley Carnahan and his wife Cindi; great grandchildren Emma Kathryn Boswell, William Lee Boswell, Olivia Barnes Boswell, Anna Pearson Garrett, Jonathan Bradley Garrett, Kenan Jace Collins, Adam Taylor Bynum, Avis Virginia Bynum, Desiree Lark Bynum, Jacob Roger Bynum; nieces Linda Joyce Godwin, Sandra Godwin Humble and husband Randy, Cynthia Narron Philemon and husband Buddy; nephews James Godwin and wife Annette, Michael Godwin and wife Nila, Butch Godwin and wife Cheryl, Steve Godwin, Tony Godwin, Delbridge Narron: great nieces Julia Godwin Vaugh and husband Brian, Emily Godwin, Ashely Godwin Spencer and husband John; great nephews James Alexander Godwin, Paul Taylor, Avery Philemon plus many cousins. Emma, affectionally known as Aunt Emmy by nieces and nephews, attended the 2008 Stancil Reunion along with daughters Nancy Cayton Baldree and Jane Cayton Bynum, son-in-law Lee Baldree, granddaughter Laura Lee Baldree Garrett and great granddaughter Anna Pearson Garrett, sister Esther Godwin Narron, niece Cynthia Narron Philmon, husband Buddy and son Avery, and nephew Delbridge Narron, first cousins Gurnie Stancil Crabtree, Ruby Stancil Creech and husband Grover, James Orville Stancil, Marshall Pope and wife Jean and cousins Charlie Crabtree, Guy Crabtree, Jane Crabtree O'Brien, Faye Parrish Langston and husband Jay and Petey Stancil Reynolds. Emma Lee was born on June 3, 1921, to Bessie Lee Stancil and James Marvin Godwin, in a small wooden frame house, on her granddaddy, Charley Godwin's Farm. Emma Lee was quiet, delicate and dainty with a sweet disposition like her mother, Bessie. Emma Lee joined Center Ridge Presbyterian Church -- a church her grandpa Henry helped start. Emma Lee is credited with saving younger brother Billie's life. Bessie was picking cotton. Cotton was stored in one room of the house. Emma Lee was looking after Billie. Her older brother Cleon was playing with matches, striking them and tossing them out the open window. Emma Lee cautioned him to stop because any matches lost in the cotton would cause a problem when it went to the gin. Suddenly the top of the cotton caught fire, Emma Lee quickly carried Billie to safety! Emma Lee grew up during the depression. She witnessed the hard times and as a result learned to save, a habit she kept throughout her life. Emma Lee graduated from Glendale High School in 1938. She, brother Billie and little sister Esther moved with her parents to a Wilson County farm in 1940. On Sundays they returned to Center Ridge for services. Emma Lee met her future husband, Earney Whitehurst Cayton, at Daniels Chapel Free Will Baptist Church on Frank Price Church Road in Wilson, County. He grew up on a farm and completed three years of high school. Earney made a lasting impression. The war started and Earney enlisted in the Army on Feb. 7, 1942, at Fort Bragg, N.C. He was 28. Once in the Army, he joined the Army Air Corp. When his enlistment was over he returned home to farm. Emma and Earney quickly became a twosome and soon love was in the air. Bessie and Marvin liked Earney and gave their blessings. Emma Lee and Earney were married on July 11, 1945, at the home of a friend by the preacher at Daniels Chapel Free Will Baptist Church. Emma Lee wore a beautiful blue lace dress she had purchased in Wilson. She chose white shoes and a white hat. Their honeymoon was two nights in the very stylish Hotel Cherry which had a massive entrance with Lion's masks supporting a large metal canopy. After the honeymoon, Emma and Earney moved in with his folks for a time until they could move into their own house. Earney began farming, growing tobacco, and corn cotton. He also raised hogs. Emma Lee had joined Daniels Chapel Free Will Baptist Church and became an active member before she married Earney. 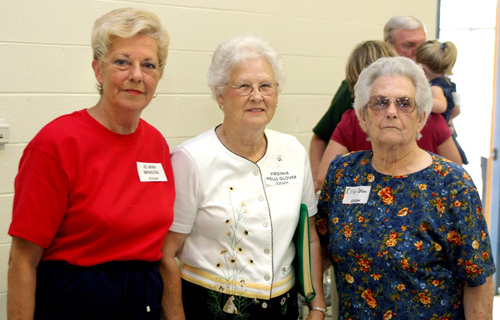 Through the years she served as president, vice-president, secretary, treasurer and hostess of the women's auxiliary. Emma also taught Sunday School and Bible School. In 2005 Emma Lee was honored for her 50 years of meritorious service with a lifetime achievement award. Emma Lee and Earney had a large garden and canned many vegetables. Earney milked the cow and Emma took care of the milk and made butter. She preferred the old fashion flowers. She grew zinnias, snap dragons and Sweet Williams. Her prize Tropicana Rose was from a cutting her father Marvin Godwin, rooted under a glass gallon jar to keep moisture inside, before his death in May of 1977. Emma Lee had a snake plant, also called a Mother-in-law Tongue. It had belonged to her mother Bessie, who died in 1974. The plant had seldom bloomed and was root bound. Recently Nancy was ready to repot and divide it when she realized it was going to bloom. Emma enjoyed the rare green-white blooms. It seems that being root bound is necessary for this plant to bloom. Emma Lee was an expert seamstress and enjoyed sewing for her daughters. She also made quilts. Skills she learned from her mother. Emma Lee made beautiful wedding dresses for daughters Janie and Peggy. Hummingbirds fascinated Emma Lee. She enjoyed collecting them and kept a hanging one near her chair. Emma Lee's friendliness was an asset when she worked in the company store for Blue Bell in Wilson for a number of years in the 1970s. Emma Lee and Earney accompanied her brother Billie and wife Jessie Mae on several trips. In 1982 they visited Niagara Falls and Canada. Then in 1985 they went to Nashville, Tennessee and attended the Grand Ole Opry. Emma Lee enjoyed the original old country music. In 1986 they spent two weeks traveling out west. Stops included The Hoover Dam, The Grand Canyon, Tombstone, Arizona, Houston, Texas, and Louisiana among other places. Nephew Delbridge Narron recalled the delicious sweet potato pie she made for him just a year ago. It was the last one she made. He also recalled the name she gave one particular large pot, 'favor pot'! It did indeed yield many tasty dishes. Christmases at Emma Lee's were filled with jokes, laughter and cheese biscuits. She had a wonderful sense of humor. Emma Lee's favorite song was "In the Garden." Her favorite Bible verse was Proverbs 3:5-6, Trust in the LORD with all thine heart; and lean not unto thine own understanding. In all thy ways acknowledge him, and he shall direct thy paths. Emma Lee spent a lot of time with her family. She amazed them with her memory. The two youngest great grandchildren, Anna Pearson Garrett and Kenan Jace Collins, both born in 2007, wove their way into her heart and frequently into her bed! Emma Lee's eyes lit up when they were present. They enjoyed riding in her lap and being pushed in her "big stroller" (wheelchair). According to Emma Lee's daughters, their mother, who spent so much of her life serving others, at the end of her life, taught them by her loving example, how to be served. She was always appreciative, gracious, never complained or asked "Why me." We will remember Emma Lee's exemplary life. It was ruled by her deep faith in God and a caring, loving and gentle spirit. Dominic L. Massello, of the Harvey Branch, died Tuesday, Aug. 4, 2009, at the age of 63. Dom, born Sept. 9, 1945 in Yonker, N.Y., to Rose Spinella Massello and the late William Massello, was married to Sandy J. Guzzo Massello. Sandy is the daughter of John and Claudia Mavis Hill Guzzo. Dom and Sandy have a daughter Dana Massello. Dominic served in the U.S. Army during the Vietnam War and earned a bronze star. He was an executive chef for many years and owned and operated Dominic's in Selma, N.C., and Dom's Steakhouse in Wilson, N.C. He was a member of St. Ann's Catholic Church near Clayton. Donnie Ray Price, husband of Betty Lou Price, died on Aug. 9, 2009 at the age of 76. Born in Johnston County on Nov. 2, 1932, he was the son of the late Fletcher and Ora Stancil Price. Surviving are his wife, Betty Lou Price; his brother, Vann Price of Kenly; sisters, Lucille Price and Gail Stancil, both of Smithfield; his nephews, Joey Ray Price, David Price, Robbie Stancil and Ryan Price and his great nieces Hannah Price and Morgan Price. He was a member of New Jerusalem Free Will Baptist Church near Kenly. He worked as a heavy equipment operator for the N.C. Department of Transportation for 30 years. He was a long-time member of the Smithfield Lions Club and the Junior Order. Funeral services will be Wednesday, Aug. 12, at 2 p.m. in New Jerusalem Free Will Baptist Church with Rev. Danny Creech officiating. Eliza 'Ellie' Elephare Wells Odom, daughter of Herbert Alvin and Eunice Valera Sasser Wells, niece of Josiah and Minnie Sasser Stancil, granddaughter of Eliza Creech and Thomas Haywood Sasser, died Oct. 2, 2009, at Wayne Memorial Hospital, Goldsboro, N.C., from complications of a broken hip. Ellie was born March 30, 1922. Thomas Haywood Sasser was the brother of Delaney Sasser Stancil, the wife of John Thomas Stancil. Ellie's funeral service was held Monday Oct. 5, 2009, at the Shumate-Faulk Funeral Home. Rev. Merrill Davis officiated. Ellie was buried in Wayne Memorial Park, North Carolina. Ellie leaves behind daughter Phyllis Ann Odom Braswell and husband Harold, daughter-in-law Ida, widow of Wilbert Odom, sons Royce Bryant Odom and wife Karen, Roland Odom and wife Karen, James Rodney Odom and wife Amanda Sue, Robert Worth Odom and wife Linda and sister Virginia Wells Glover. Eliza 'Ellie' was preceded in death by husband Charlie Bryant Odom on Aug. 4, 1994, and son Wilbert on July 27, 2009. Ellie was a faithful family member. She attended the Saturday Musical afternoons before the reunion at Laura and Bill Edwards. Ellie attended 18 reunions between 1987 and 2007. Most years her sister, Virginia Wells Glover, went with her. Her son Roland and wife Karen attended the reunion in 1987. Ellie was born on March 30, 1922, in Johnston County, N.C. She grew up on tenant farms in Johnston and Wayne Counties. Her mother, Eunice, was first cousin to all of Delaney and John Thomas Stancil's children; Henry, Samuel, Josiah, Tempy Ann, John Archer, Arnettie, Alvin, Harvey, George Ira, Catherine and Thomas Ruffin. The family lived on the east side of Fremont, North Carolina when Ellie's ma became ill. This illness was traced back to when Eunice's sister, Minnie, wife of Josiah Stancil, asked Eunice to help her prepare and dress the body of a black neighbor man for burial in early 1933. The man had T.B. Eunice contracted it. Ellie's oldest sister, Alice, was already married and Frances 18 years old left home after graduating from Fremont High School in May of 1934. Much of the house work fell to 11 year old Ellie, the oldest girl at home. Ellie never returned to school after Christmas of 1934. She was just 12 years old when her mother died on Jan. 18, 1935. Ellie was now responsible for the cooking, laundry, cleaning, gardening, etc. Ellie's childhood had been lost when her mother took ill. Charlie Bryant Odom lived and farmed with his sister in the neighborhood. Ellie began going with Charlie. She was 18 years old when she married 26 years old Charlie in the Wayne County (N.C.) Court House on Nov. 30, 1940. Their first son Royce Bryant, was born before Charlie was drafted into the Army. Charlie reported to Fort Bragg on May 29, 1943. He was sent to Texas and then to Germany. Charlie served until October 1945. He came home and farmed full time. Ellie and Charlie welcomed five more children; Roland, James Rodney, Robert Worth, Phyllis Ann and Wilbert. Ellie encouraged them to study hard. She was proud when they all graduated from high school. Ellie and Charlie shared the same work ethic. They spent many long hours growing tobacco, the main cash crop. Ellie was an excellent tobacco hand and could do any job. She used these skills to grow pretty flowers and potted plants. Ellie's favorite flowers included begonias, corn plants, impatiens and African Violets. Ellie grew a large vegetable garden. Food was preserved by canning and freezing. Ellie was an excellent cook and fixed Sunday Dinner for her children's families every week. The table was laden with fried chicken, chicken pastry, ham, collards, peas, corn, butterbeans, potato salad, biscuits, and cornbread. Ellie served at least two kinds of desserts. Among them were chocolate pie, coconut cake, pineapple cake, chocolate layer cake and strawberry short cake. Ellie's home was a favorite neighborhood gathering place for playing an afternoon of ball, churning homemade ice-cream and catching up on the news. Charlie's milk cows produced plenty of milk and quality cream. Ellie had enough butter and buttermilk to sell. She started a business, delivering it to customers. When the family needed additional money, Ellie worked in the Goldsboro Hospital's kitchen helping deliver meals to patients. Later she worked as a quality inspector at a hosiery plant. Ellie learned to crochet at an early age. She made many Afghans that she gave away to family and friends. One of her prized possession was a bedspread she crocheted out of tobacco twine. The twine was normally used to tie tobacco to sticks. Ellie loved sewing for her daughter Phyllis and herself. She enjoyed the creativity involved in piecing together quilt tops and quilting them. She belonged to a group of neighborhood quilters and made many beautiful quilts. When Ellie died, she had a top ready for quilting, it was given to her sister Virginia to finish. Ellie had a strong faith in God. She grew up attending Whitley Pentecostal Holiness Church. Ellie found her church home at Pike's Crossroads Pentecostal Holiness Church, Pikeville, North Carolina. This became the family's church. Ellie was there when the doors opened. She joined the women's group and participated in "Quilting Days." Ellie enjoyed traveling. Laura and Bill Edwards invited Ellie to accompany them to visit cousins Jimmy and Flo Stancil in Chattanooga, Tenn. The highlight was the trip over the winding Road to the Opera House. Ellie was so scared she blurted out, "If I'd known the road would be so winding I never would had come!" Over the years Ellie visited Florida, Oregon, Colorado and Niagara Falls. Ellie had a many dogs and cats over the years. Her favorite was a petite Chihuahua. Ellie fondly recalled her trip to "The Blue Barn" in Kenly, N.C. This wholesome place with live country music and dancing was a favorite of Laura Edwards' family and kinfolks. Ellie remarked as she was leaving, "I love it! and hope to come back again!" Ellie's friendly smile, cheerful outlook and interest in others will be missed by family and friends. We will remember Ellie as a faithful friend and family member who loved all her kinfolks and lived the Golden Rule. Perhaps this scripture best depicts Ellie, Psalm 7:8 Judge me, O Lord according to my righteousness and according to the integrity that is in me. Robert ‘Bob' Edward Carico, of the Arnettie Branch, died at home on Wednesday, Oct. 7, 2009. He was 73. His beloved wife and soul mate Marvelene, son Michael and other family members were by his side. Robert had only recently been diagnosed with brain cancer. He was buried in the Bailey City Cemetery, North Carolina. Bob married Marvelene Hill Murph, daughter of Wilbert and Mayzell Boykin Hill and granddaughter of Arnettie Stancil Hill. Bob leaves behind sons Michael Lorne Carico and wife Angela, Robert Joseph Carico, William Franklin Murph, Wilbert "Kip" Christopher Murph and wife Wanda, daughter Angela "Angie" Dean Marie Murph Mosley and husband Dennis; grandchildren Cristal Gail Murph Reason and husband Doug, April Marie Murph Boykin and husband Keith, Wilbert "Chris" Christopher Murph Jr., David Anthony Ruffin, Dennis Wayne Mosley Jr., Kristina Blair Mosley, Ashleigh Brianne Carico, Cheyenne Allison Carico, Michael Lorne Carico II, Taylor Grace Carico, Heather Lynn Murph, Jessica Murph; great grandchildren Travis Dale Batchelor Jr., Daniel Christopher Batchelor, Zackery Shane Reason, Carlie Ann Reason, Julia Ann Wallace, Lydia Marie Wallace, Sarah Elizabeth Wallace. Bob was the brother of Kenneth Carrico, Judy Carrico Vaughn and Roger Carrico and wife Mary, Brenda Carrico widow of Charles Carrico, brother-in-law of Rose Imogene Hill Murphy and husband Benny, Cornelia Hill, Karen Hill Taylor and husband John, Sandra Hill Phillips and husband Bill, Elizabeth "Liz" Hill Boyette, Linda Hill and husband William Roney, Sharon Hill Turnage and husband Carlton, Debra Hill Walston and husband Don, William "Toot" Janell Hill and wife Martha. Bob was the uncle of Amy Carrico, Timothy Neal Murphy and wife Robin, Pamela Murphy Grizzle and husband James, Benny Jason Murphy and wife Michelle, Jeffrey William Hill and wife Sharee, Joy Hill Foraker and husband Alvin, Jill Hill Wall and John, Junior Hill, Joyce Parnell English and husband Ray, Donald Parnell and wife Christy, William Allen Parnell and wife Sandra, Clifton Lee Parnell, Teresa Boyette, Milton J. Boyette Jr. and wife Vickie, Tina White Stump and James, Roney Lee White, Steven Allen Summerlin and wife Pamela, Kevin Summerling and wife Gray, Cindy Walston and husband Robert Jason, and Bobby Ray Walston. Bob will be missed by many great nieces, nephews and cousins. Bob was preceded in death by his parents Venard and Lottie, son Robert "Robin" Lance Murph, siblings, Charles Carrico, Bill Carrico, Sanky Lee Carrico, James Carrico, Inez Wilson and Ila Francis. The last reunion Bob and Marvelene attended was in 2008. 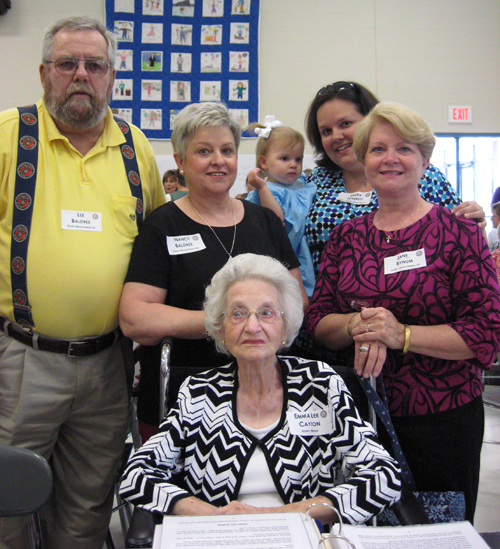 In 2009 their son Michael attended along with members of the Arnettie Branch; Elizabeth "Liz" Boyette, Teresa Victoria Boyette, Johnathon Boyette, Brianna Brown, William "Junior" Hill, Jr., Terri Lynn Salvail, Martha Hill, William "Toot" Hill, Brittany Johnson, Karen Hill Taylor, Emily Wall, Hannah Wall, Jill Hill Wall, John Wall, Alyssa Belty and Morgan Belty. Bob was the oldest child of Venard and Lottie Funk Carrico, and grandson of Robert L. and Mary E. Carrico. Bob was born on Dec. 22, 1935, in Wayne County, West Virginia. The family moved to Galax, Virginia, when Bob was quite young and nine siblings were born there. Times were tough and when Bob was just 13, he had to quit school and worked in the cotton mill to help feed the family. Bob was eager to leave Galax, a furniture-making town. He saw the Navy as his way out. Bob joined the Navy in 1952; he was just 17 years old. Bob spent most of the next four years in Bainbridge, Maryland, as a Naval Shore Patrolman. He tracked down sailors who were AWOL (Absent with out Leave) and returned them to the Navy. When Bob received his honorable discharge from the Navy, he settled in Greensboro, North Carolina and worked in a Textile Mill. Bob's supervisor was Marvelene. Marvelene's marriage was on the rocks and Bob's ended several years earlier. Neither were interested in pursuing another relationship. In time they developed a wonderful friendship and found their love was growing. Marvelene's children approved and they were married in Dillon, South Carolina, on Oct. 19, 1974, with her Mother, sister Liz and husband Milton in attendance. All of Marvelene's family embraced Bob, and welcomed him into the family. Soon after Bob married Marvelene, he explained why his last name was spelled Carico instead of Carrico. A mistake was made on his birth certificate and it was years before anyone realized this so the mistake stood. All of Bob's family spells it Carrico. Marvelene and Bob made several moves early in their marriage. They lived in the mountains, moved to Atlantic Beach on the Carolina coast where Bob worked for the Carteret Manufacturing Company. This company built deck houses for ships. Bob and Marvelene returned to her hometown of Eureka, NC. Bob, a jack-of-all-trades, initially worked in tobacco. Later he worked in a garage until he decided he'd rather work for area farmers again. Beginning in 1982, Bob drove a water truck for S.T. Wooten and then an asphalt truck until a heart attack forced him to retire in 1992. One of Bob's passions was listening and talking on his CB radio. This interest started while he was living at the coast. He even had a base station at home. Bob's handle was "Blue Furry." Bob kept in touch with his Virginia roots. He made many sad trips back for funerals. Then In 1993, he and Marvelene traveled to Ohio for a memorable and fun Carrico Reunion. Bob grew up listening to bluegrass music and especially enjoyed hearing the fiddle. In his later years he preferred gospel music. He first heard Vince Gill's "Go Rest High on the Mountain" at the Carrico Reunion. Bob was drawn to the lyrics. Bob was considered the family jokester. He kept a smile on his face and loved teasing his family and friends. Bob had the unique ability to imitate animal sounds with such accuracy that folks turned around trying to locate the animals. This delighted the grandchildren. Bob was always ready to babysit them. Even when Marvelene wasn't able, Bob stepped in, taking charge. Bob loved sharing his life with them and he formed a special bond with them. When Kip started a part time roofing business, Bob was right there to help him. Bob did not mind heights or hard work. As usual he kept a smile on his face and his wonderful sense of humor that made the work go faster. Bob's life was an example of Proverbs 17:22 "A merry heart doth good like a medicine." One of Bob's favorite movies was "O Brother How Are Thou?" It reminded him of his boyhood in Virginia. For over 15 years, Bob and Marvelene's church home was Sims Baptist Church, Sims, North Carolina. They developed a close relationship with Pastor Steve Strickland. Pastor Steve loved the sunshine Bob's smile brought to the church each week. Michael once asked his dad, "Why did you never grow up?" Bob replied, "If I ever grow up, I'll get old and die!" All the grandchildren had a difficult time dealing with Bob's death. When Ashleigh, 6 years old, saw her Paw Paw at the funeral home she spoke to him, “Paw Paw, wake up, wake up!” Cheyenne, 12, was devastated and comforted by younger sister Ashleigh who said as she gave her a warm hug, "It's going to be OK, Cheyenne, it's going to be OK."
Bob will be fondly remembered for his devotion, love for family and friends and for showing us how to live life following Matthew 22:39 "Thou shalt love thy neighbor as thyself." Bob's funeral was at Shingleton Funeral Home in Wilson, North Carolina, on Saturday, Oct. 10, 2009. Rev. Strickland, of the Sims Baptist Church, conducted the service. Michael sang "Amazing Grace (My Chains are Gone)." When Bob found out he had brain cancer, he asked granddaughter April to sing "Go Rest High on the Mountain," at his funeral. Niece Amy Carrico read the poem, "When tomorrow starts without me," by David M. Romano. Ishmael Narron, of the Arnettie Branch, died on Oct. 7, 2009. Ishmael was the widower of Mildred Hill Narron, father of Kenneth, Worth, Angie Narron Wiggins and the late Danny Gene Narron (Arnettie/Arthur). Frances Kanahola DeMella Stancil Peoples, Henry Branch, widow of Guy Stancil, dies in Kailua, Hawaii. Frances was born Aug. 11, 1918, and died on Oct. 15, 2009. Frances Kanahola DeMella Stancil Peoples, Henry Branch, was the widow of Guy Stancil, daughter-in-law of Oscar Stancil, mother of Ted, Doug and Kathleen dies at 91. Frances' services will be Friday, Oct. 30, 2009, at St. Anthony's church in Kailua, HI 96734. The viewing will be at 8:30 a.m. and then Mass will begin at 11 a.m. 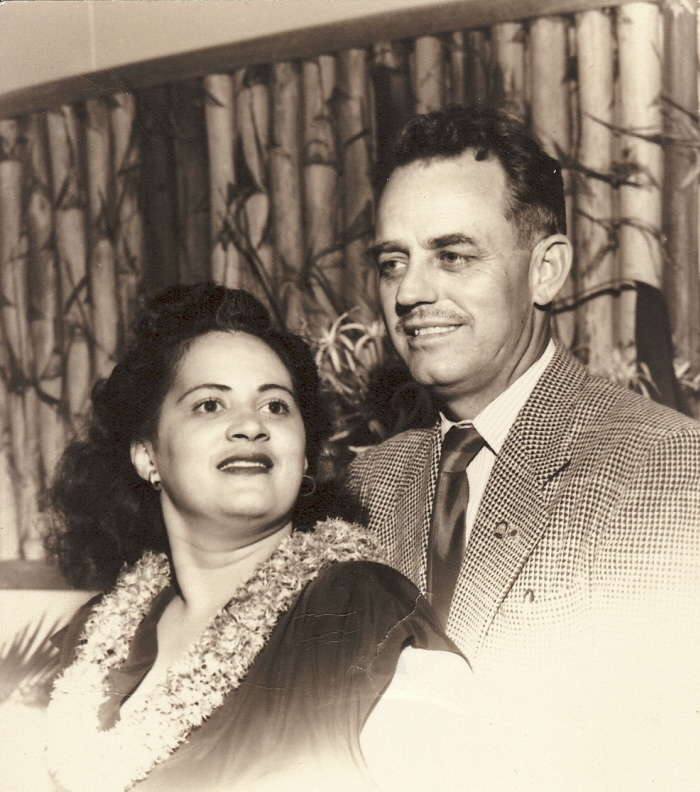 The burial services will be on Saturday at Hawaiian Memorial Park in Kaneohe, Hawaii, from 10 a.m. to 3 p.m.
Frances leaves behind son Theodore 'Teddy' Rudolph Kalikookala Stancil. and wife Veronica; grandchildren Guy Shane Kekaa Stancil and wife Marion, Mark Wayne Kalikookala Stancil and wife Catherine, Scott Blane Kalani Stancil and wife Roseann, Charmaine Kekahaualani Stancil Lime and husband Angel Michael, Michael Dane Kenui Stancil and wife Maydeen, Danielle Stancil Flavin, Tammy-Lynn Uilani Stancil; great grandchildren Guy Shane Kekaa Stancil Jr., Malia Stancil, Kealohikehau Shalen Jorelle Stancil, Kellen Kyle Kalikookala Stancil, Kean Cavell Kamana Stancil, Kolby Stancil, Stephanie Stancil, Salisa Lehuanani Stancil Lime Cajuro and husband David, Nani Renee Kekahaualani Lime, Michael Angel Keliiahiopuni Lime, John Blane Kenui Stancil, Cody Dane Kalikooala Stancil, Ulana Flavin, Keoniana Flavin, Zachary Kealiipiikalani Stancil; great great-grandchildren David Canjuro, Dorian Canjuro and Danielle Canjuro. Frances leaves behind Douglas 'Doogie' Randolph Mahealani Stancil Sr. and wife Ivanette; grandchildren Diane Lori Nohola Stancil Nifong and husband Mark, Sherri Lee Clara Stancil Gabin and husband Stanley, Douglas Randolph Mahealani Stancil Jr., Chadwick Lane Stancil, Braddick Payne Stancil, Keith Dane Stancil; great grandchildren Lorilee Kehaulani Freitas Watts and husband Andrew, Christopher Jeremy Freitas, Desilee Kamakanikailialohaailana Santiago and husband Jeff, Darren Gabin, Brandon Randolph Hanale Saffery-Stancil, Randol Iaukea Stancil, Travis Stancil, Bradley Stancil, Brianne Stancil, Brendee Stancil, Mason Stancil, Noah Stancil, Josiah Stancil, Kehaulani Stancil; great great-grandchildren Owen Andrew Watt, Issac Santiago, Matthew Santiago, Tyson Lawai'a Stancil and Rai Stancil. Frances leaves behind Kathleen Muliwai Yvonne Stancil Akau and husband 'Dodi' Joseph Jr.; grandchildren Joseph Porter Umi Akau III and wife Michelle, Jodi Piilani Yvonne Tita Akau Kim and husband Tracy, Josiah Piehu Stancil Akau, Joelle Pomaika'I Frances Akau Hussey and husband Alexander; great grandchildren Joelle Ponimoilani Ann Akau, Akkilah Alaula Kathleen Kim, Alisha Kula Virginia Kim, Alexander Keali'I Hussey Jr., Alena Kawailani Frances Hussey, Alapaki Kapilioha Joseph Hussey, Alakea Kamakaokalani John Hussey, Josiah Piehu Stancil Akau Jr., and Jayce Pookela Gaspar Akau. Frances was the sister-in-law of Gurnie Stancil Crabtree, James 'Jim' Orville Stancil, Ruby Stancil Creech and husband Grover, Jack Roland Stancil and wife Lynda. Frances was the aunt of Charles 'Charlie' Myron Crabtree Jr. and wife Cindi, Jane Crabtree O'Brien, Guy Wayne Crabtree, James Hilton 'Butch' Stancil, Katherine 'Petey' Stancil Reynolds, Gary Rudolph Stancil, Stephen Jerome Stancil, Philip Haywood Creech and Rebekah, Marcia Creech Park and Gary, Bryan Grover Creech and Tammy, Lucia Creech Washam and William Russell Jr., Jackie Marie Stancil, Jamie Eric Stancil and Joseph Guy Stancil. Frances was the great aunt of Catherine 'Windi' Crabtree Quinby, Stephanie O'Brien, Ashley Elizabeth Crabtree, Andrew Edward Crabtree, Matthew Brady Weaver, Kelly Catherine Stancil, James Robert Stancil, Eric S. Stancil and wife Misti, Katrina Stancil Finley and husband Ricky, Aaron J. Stancil, Chad L. Stancil, Nathan A. Stancil, Jennifer Ann Park, Justin Howard Park, Christopher Graham Creech, Matthew Cameron Creech, William Russell Washam III, and Kevin Joseph Washam. Frances was the great-great-aunt of Kayla Lane Pounds, Christopher Charles Quinby, Lillie Elizabeth Stancil, Austin Stancil, Taylor Stancil, Alexis Finley, and Marcus Finley. Frances along with daughter Kathleen Muliwai Stancil Akau, grandsons Josiah Piehu Stancil Akau and Mark Wayne Kalikookala Stancil visited North Carolina in September of 2006. Frances was born in the Hawai'i Territory of the United States. A real beauty with black wavy hair, her heritage included Portuguese. Guy made a decision quite young that he wanted to see Hawaii. The U.S. Army promised him he would go if he enlisted. They were true to their word and Guy was stationed there. Guy, who many said resembled movie actor Clark Gable, met Frances Kanohola DeMello. It was love at first sight for the handsome soldier and the beautiful Hawaiian girl. They made an attractive couple. Guy knew Army regulations prevented marriage without permission of an Army Captain. This regulation was strictly enforced. Guy and Frances were too much in love to wait. They secretly wed hoping to keep it under wraps. The Army discovered the marriage; Guy was immediately discharged from the Army. Frances and Guy settled into a place of their own. They welcomed three children Ted, Doug and Kathleen. Guy's cousin, G.I. Stancil Jr., son of George Ira, was in the Navy and stationed on Pearl Harbor. Frances met G.I. when he spent Thanksgiving Eve of 1941 with them. This was the first of several visits. Over the years Frances met and spent time with sister-in-laws Gurnie Stancil Crabtree and Ruth Stancil Janiuk in the 1970s, when Gurnie and Ruth spent a month in Hawaii. During the 2006 visit to Wilmington, North Carolina, niece Jane recalled that Aunt Frances was very fond of the sweet bread she served with coffee. The entourage rode in a rental van as they toured the beach area. Inspired by Jane's dessert, they started singing a song call "Sweet Bread," everyone joined in. This was cute funny song and a folk-family favorite of theirs! Frances, Kathleen, Josiah and Mark enjoyed seeing many family members at the 2006 Stancil Family Reunion. Frances looked beautiful in her Hawaiian dress. Her twinkling eyes, vivacious personality, welcoming smile, endeared her to the entire family. My grandmother, Frances Kanohola DeMello Stancil Peoples was born Aug. 11, 1918, in Waikea on the big island to Manual DeMello who was Portuguese and Lucy Lukela who was Hawaiian. She is the eldest of eight children to include brothers Manuel, Frank, Donald and Stanley. Sisters, Tura, Pearl and Honey. In 1920, when Grandma was 18 months old, the family moved to Oahu. At the age of 13, her father died in a tragic accident, which left the family devastated. Her father was the sole provider for the family. Grandma being the oldest child, her life would change dramatically which I believe would define her character, her personality, and the contagious influence she would have on this grandson and a family that spans five generations. She left school to go to work during the day and took care of her brothers and sisters at night while her mother, Lucy, went to work. She didn't have a choice. She had to help her mom so the family could survive. At a very young age, my grandmother, put others before herself because in her heart family is everything and to her, it was the right thing to do. Ninety years later, she is still working and giving so that others may have. Grandma married my grandfather, George Guy Stancil, when she was 15, he was 22. Soon after, my father was born, Theodore Rudolph Kaliko'okala Stancil (Teddy). Grandma and Grandpa moved to Kinau St. into their first apartment. As the family expanded they moved to a house on 22nd Ave., where their second child was born, Douglas Randolph Mahealani Stancil (Doogie), five years after my father. Four years later, the family lived in Kuliouou when their third child was born, Kathleen Yvonne Muliwai Stancil. They were married 19 years. Then in 1953, Grandma met and married my Grandpa, John Peoples who also had two daughters, Mattie Luka and Johnarie Helena. They were married 38 years until Grandpa passed away. During their years together I remember the 11th frame which was a cocktail lounge Grandpa and Grandma owned and operated. But more than that it was a place to gather bringing together family and new friends. I can remember in my hunabada days my brothers and I use to run around between the 11th frame and the Bowl-O-Drome on Sundays after the softball games. I am sure many of you here today remember everyone singing, eating, drinking and having a great time. We memorized all those songs ... Pork and Beans and Gravy, Jane's Store, Cheryl Moana Marie, Bye O My Baby and Pork Chops when I'm Hungry to name a few. So many great memories there. They sold the 11th frame in the mid 70s and embarked on another career of volunteerism that spanned 25 years during their marriage. Grandma's family includes five children, 25 grandchildren, 50 great-grandchildren, and nine great-great grandchildren. My grandmother leads an ordinary life, but is an extraordinary woman. Her accomplishments are many, most notable is her relentless service to other people and her community. In 1946, she was chosen Lunalilo Community Association Mother of the year. She is the longest active member of the Retired Senior Volunteer Program (RSVP) serving her community for more than 33 years. She has been a volunteer with the Honolulu Community Action Program (HCAP) since 1982 and continues to serve today. In May of 1983, while President of the Kailua Seniors, she was chosen by United States Senator Daniel Akaka as his Senior Intern in Washington, D.C. In 1990, she and Grandpa John were recognized as the Outstanding Male and Female Senior Citizens of the Year while giving many hours to Angels on Wheels transporting cancer patients to and from the hospital for their treatments. She has also volunteered for the Red Cross, March of Dimes, Salvation Army, Cancer Society, Tutor for Kainalu Elementary, Cub Scout Den Mother, The Grandmothers Club, Daughters of Hawaii, St. Anthony's Outreach Program. So this is Grandma's legacy "so far" because even today she continues to write it, still volunteering, still helping others. All of us here are witness to Grandma's rich life and I know you are looking forward, as I am, to reading the next chapter… "stay tuned." So, Grandma, thank you so much for always being there for us when we needed you. For your unconditional love. For always seeing the good in all of us. For never judging us, but accepting us. For being a shining example for our ohana. "In the coming days we will all be coping with this the best way we know how and that is CELEBRATING her life. That is one thing she has taught us is to ENJOY LIFE TO THE FULLEST and she did. LET THE PARTY BEGIN!" Frances Kanahola DeMello Stancil Peoples was a beloved family member. Her wisdom, compassion, acceptance, zest for life will be missed by all those who met her. Frances drew us to her like a magnetic and left us longing to know her better. Charles Leroy Wing, widower of Beverly Joyce Stancil of the Josiah Branch, died in New Wilmington, Pa., on Oct. 20, 2009. Charles was 79 years old. He was born on May 28, 1930 in Andover, Ohio, to the late Lyle Edward and Angeline Alice Hayes Wing. Charles married Beverly Joyce Stancil on Oct. 10, 1953. Beverly was the second daughter of Herbert Andrew and Julia Lillian Derrington Stancil. Charles and Beverly had two daughters, Susan Wing Guyer, and husband William, and Bonny Wing Noel, and husband John. They had four grandchildren and four great-grandchildren. Charles was a graduate of New Castle High School in 1948 and served his country in the Air Force during the Korean War. He was a member of New Wilmington Presbyterian Church and was retired as an engineer from the B&O Railroad. The service was held on Friday, Oct. 23, 2009. Charles was buried at Neshannock Cemetery. 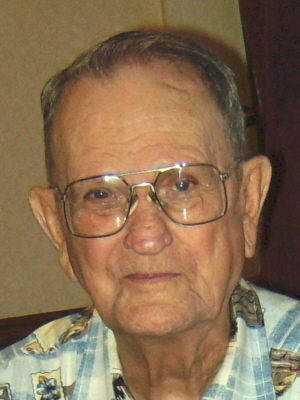 Harold Thomas Renfrow, of the George Ira Branch, son of Graydon and Rachel Stancil Renfrow, grandson of George Ira and Eva Ann Mercer Stancil, died on Nov. 11, 2009. He was 64. Harold, born Dec. 28, 1944, died on Wednesday, Nov. 11, 2009, in the Beaufort County Medical Center, Washington, N.C. Harold had been battling lymphoma cancer for five years. He was admitted to the hospital on Nov. 2, suffering from pneumonia, by the time he entered the ICU, kidney failure was a problem. Harold was preceded in death by his sister Gilda Gray Renfrow Six and parents Graydon and Rachel Renfrow. Harold leaves behind two daughters Lisa Fay Renfrow Fisher, Michelle Rachel Renfrow Smith and husband Tim of Dillon, S.C.; son Vincent Thomas Renfrow and wife Misty of Winterville, North Carolina; grandchildren Michelle Faye Fisher, Joey Lane Pope, Mackenzie Elizabeth Renfrow, Kayla Jeanine Renfrow; brothers J.G. Renfrow and wife Denise of Lucama, Donald ‘Jimmy' Eugene Renfrow of Chicopee, Massachusetts; nieces Donna Jean Renfrow Burns, husband Robert and children Alexis and Nicholas, Meredith Renfrow Braswell, husband Nicky and children Thomas Strother, Rachel Strother, Will Braswell, Katherine Renfrow Williams, husband Steve and children Abigail and Katie; nephews Walter Matthew Six and Walter Derek Six; plus many cousins. Harold's visitation was from from 6 to 8 p.m. Saturday, Nov. 14, 2009, at Minshew-Coley Funeral Home in Kenly. His funeral and burial was at 1 p.m. Sunday at Springhill Presbyterian Church, 7335 Springfield School Road, Lucama, N.C. Following the burial in the Springhill Church Cemetery, there will be gathering for dinner in the fellowship hall. 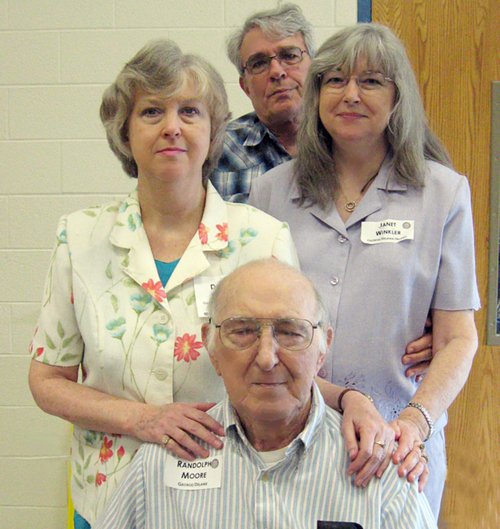 Harold attended the 2009 Reunion along with daughter Michelle Smith, grandson Joey Pope, son Vince, granddaughters Mackenzie and Kayla; brother J.G. Renfrow, wife Denise, brother Donald "Jimmy" Renfrow; nephew Matt Six, nieces Meredith Braswell, husband Nicky and children Thomas Strother, Rachel Strother and Will Braswell, Katherine Williams and children Abigail and Katie. Harold was born Dec. 28, 1944, by "C" section. He was the youngest child. He was named Harold for Rachel's youngest brother, Harold Lloyd Stancil, who was killed on Oct. 13, 1944, by plane debris from a Japanese plane that crashed on the flight deck of the USS Franklin. Harold Lloyd was nicknamed "Chick" by sailors on the USS Franklin because he was the youngest on board. He often signed his letters "Chick." It wasn't long before this was Harold's nickname too. When Harold was just a toddler, he wandered away from the house. This sent his parents into a panic as they hurried around calling and searching. Finally Graydon found him standing in water with the family's loyal pit bull, "Big Dog," by his side. Harold grew up attending Springhill Presbyterian Church. Harold's football playing ability attracted the attention of East Carolina College. Once he graduated from Rock Ridge High School he was offered a football scholarship. Harold accepted and played ball for two years. Harold joined the Merchant Marines in 1965. He served for three years. During this time his ship made deliveries to Vietnam. 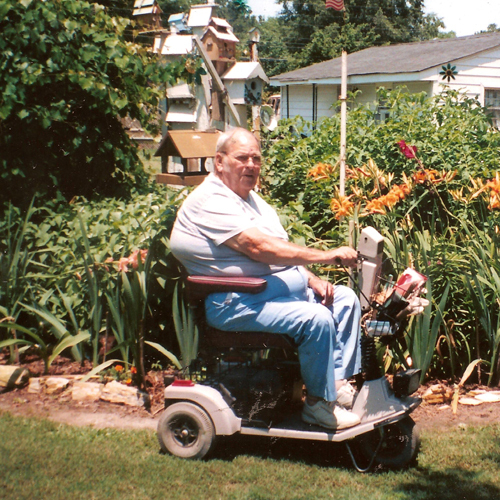 When Harold was discharged, he kept his love for country and patriotism. Harold frequently traveled to Washington DC for the annual Memorial Day Rolling Thunder Celebration that honored all MIAs (Missing In Action). Tens of thousands rode bikes from the Lincoln Memorial to the Vietnam Memorial. When Harold returned home, he entered Wilson Technical Institute and learned to operate heavy equipment. Harold had a 1969 two tone green GTO. When he put it up for sale in 1970, Thomas "Junior" Emmette Stancil Jr., son of Emmette, bought it for his 18-year-old son Tommy III, then a senior in high school. Tommy loved this car and had many thrills in it until his youthful foolishness caught up to him and his beautiful car. Harold loved traveling off the beaten path. In 1970, when he visited first cousin Renn Stancil in Palatka, Fla., he made the trip from Jacksonville on Highway 13 that meandered along the St. Johns River. When he arrived much later than expected, he told of seeing large historical houses, moss covered oaks and one of the prettiest drives he'd ever made. Harold had a friendly and outgoing personality. He loved people and liked nothing better than having an in-depth conversation. Harold was a natural salesman. He sold for Coats and Clark in Atlanta for several years. During this time he completed the Dale Carnegie Sales Course. Harold had a variety of professions ranging from restaurant owner to insurance salesman to insurance adjuster. Harold also enjoyed movies, among his favorites was "The Godfather." Harold, his brothers Jimmy and J.G., and son Vince were enthusiastic Boston Red Sox fans. In 1985, Harold met his idol, Ted Williams, in Raleigh. Ted played 21 seasons with the Boston Red Sox Team and was considered the greatest hitter of all time by many. Ted autographed two baseballs for Vince. They became treasured souvenir for father and son. These three fans made a trip with Rachel, in Harold's Cadillac, to visit Jimmy and family in Massachusetts. Rachel stayed with Jimmy's wife Isabel and daughter Donna, while these fans rooted the Red Sox to victory over the Kansas City Royals in Fenway Park. Harold was also an avid Washington Redskins fan. When the Redskins were playing, you would find him, nephews Matt and Derek rooting on their team. Harold became interested in the Civil War around 2003 and joined the Sons of the Confederacy and attended the meetings of the North Carolina Division of Sons of Confederate Veterans in Raleigh. This patriotic organization strives to preserve the true history and culture of the Confederacy. Harold enjoyed reading about the Civil War battles and watching accounts of the war on the History Channel. He was a member of the L.L. Polk Camp, Sons of Confederate Veterans of Garner, North Carolina. Harold made a memorable trip to the Gettysburg Battlefield in Pennsylvania where 51,000 soldiers died. He spent hours reading, studying exhibits and touring the battlefield. One of Harold's favorite movies was "Gettysburg" depicting this decisive battle. Harold enthusiastically shared his interest in the Confederacy. Perhaps hearing stories of his great grandpa, John Thomas 'Tom's' Civil War adventures, prompted this interest. One memorable one was when Tom came home without permission to visit Delaney and baby Henry. Tom wore Delaney's dress and bonnet as he plowed the field and planted corn so she would have some food to harvest in the fall. Harold developed lymphoma, a cancer affecting immune system cells in 2004. He underwent a stem cell treatment that was successful at first. Harold needed a second one and tragically Medicaid would only pay for one stem cell treatment. Harold continued receiving other cancer treatments. These worked well for a time. Recently Harold developed pneumonia and tragically he was unable to fight it off. Harold was a loyal friend, a loved and respected family member. Maya Angelou said, "I've learned that people forget what you said, people will forget what you did, but people will never forget how you made them feel." Harold will be remembered for his positive outlook, warm friendly greeting, broad smile, kind words, joyful laughter and most of all for the way he made us feel. 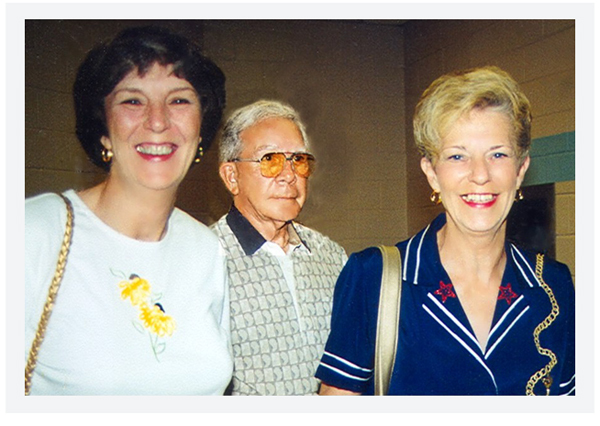 Phyllis Campbell Noland, Jim Noland and Jo Ann Campbell Brinson. James 'Jim' Terry Noland, Josiah Branch, husband of Phyllis Campbell Noland, son-in-law of the late Mozelle Stancil Campbell and Glenn Coy Campbell, dies at 82. Jim was born on Jan. 25, 1927, in Richmond County, NC, passed away on Sunday, Nov. 29, 2009, at home in Gloucester, Va. He suffered for several years with Parkinson's disease. Jim leaves behind Phyllis, his wife of 20 years, a son James Joseph Noland, a brother J.S. Noland, brother-in-law Don Campbell and wife Christel, sister-in-law Jo Ann Campbell Brinson; Jim will be missed by many nieces and nephews; Deborah Campbell Easterling and sons Michael and Christopher; Rebecca Savage Mangrum, and her husband Carl and daughters Lisa Jennene Smith, son Devon Garvin and Stephanie Jo Ann Smith Zomant, children Brandon and Rebecca Skylar; Kayla Savage; Daniel Hermann Campbell, wife Jean and daughter Rachel Nicole; Garland Willard Brinson and children Brittany Michelle, Kelsey Nicole, Adam Michael; Gerald Craig Brinson, wife Sandra Joy and children Gerald Craig Jr., Nicholas, and Grace Elaine; Jeffrey Glenn Brinson and sons Alex Jeffrey, Eric Glenn. Many cousins will miss his friendly greeting and warm smile. A graveside service with military honors was conducted on Dec. 4, 2009, in Peninsula Memorial Park, Newport News, Va. Chaplain David L. Wilson, Col., U.S. Army (ret) officiated. Jim was the son of Eula 'Ida' V. and Joseph 'J. J.' James Noland. In 1930 the family rented a house in Marks Creek, Richmond County, NC. J.J. was a salesman born in Massachusetts. Jim had an older sister Dorothy Vivian and younger brother Joseph Seldon. Jim's ancestors came from Ireland about 1860. Jim served in the Army Air Corp during WW II. He was part of the force that occupied Japan. Jim received the World War II Victory Medal. After the war, Jim graduated from the University of North Carolina. He bought the franchise for Service Master and named it Noland Enterprise; it was a fire and smoke restoration company. Phyllis and Jim met at a meeting by chance. Phyllis recalls he was sitting by an attractive lady she thought was his wife. They shared an interest in landscaping and gardening. Jim particularly likes yellow roses. During an early conversation Jim suggested she plant New Guinea Impatiens. This proved to be a real winner. Their first date was to a Gloucester, Va., restaurant. Jim romanced Phyllis by cooking her a delicious dinner and ended the evening by served chocolate pie. Phyllis was smitten. Not ones to procrastinate, they soon set a wedding date. Jim suggested butterflies for their wedding theme. Phyllis agreed. They were married six weeks after meeting on June 24, 1989, in Phyllis' home. Jo Ann was her matron of honor and Jim's son James J. Noland was the best man. They honeymooned in Nova Scotia. The last Stancil Reunion Jim and Phyllis attended was in 2007 and the first in 1989 a few months after they were married. Jim and Phyllis each sold their homes and Jim found the perfect house, a large two story colonial with large white columns in the front and a beautiful marble pool in the backyard. They set about landscaping, a job they both loved. This lead to attending the annual Maymont Flower & Garden Show in Richmond, Va., that began in February 1973. They particularly enjoyed the Great Garden Marketplace with vendors from as far away as Washington state and Maine. Eventually Jim and Phyllis downsized. The new house needed lots of attention including stripping wallpaper, remodeling the kitchen and refinishing the hardwood floors. A new house meant they once again delved into landscaping. They added several bird feeders, water fountains and accent lighting. One of Jim's most attractive qualities was being a kid at heart similar to Peter Pan! He and Phyllis spent many glorious fun filled days at Disney World. A memorable highlight was breakfast with Goofy and Snow White. Jim and Phyllis enjoyed chamber music and were partial to the harp. They also loved attending garden shows. One favorite vacation spot was the oceanfront hotel, The Breakers at Hilton Head, South Carolina. Jim liked the tranquility of the beach. Jim and Phyllis joined the Abingdon Episcopal Church established in 1650 in Gloucester County, Virginia. They loved its beauty, history and formality. The present building, in the shape of a Latin cross, was begun in 1750. It is recognized as an authentic restoration of an 18th century building. Jim's favorite foods were fried chicken and fresh peach cobbler. He also loved Jo Ann's blueberry cobbler. Jim liked grilling and among his specialties were barbecue chicken, steaks and shish kabobs. He decided to purchase a smoker. Jim loved the smoky taste and would smoke most anything according to Phyllis. Jim will be remembered as a quiet, easy going man, who relished the whimsicalness and fantasy of Disney World and whose thoughtfulness and love endeared him to family and friends. Randolph Moore with daughters Donna Pageant and Janet Winkler. Janet's husband Ed is in the back. 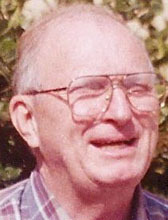 Randolph Moore, 93, husband of the late Norma Stancil Moore, George branch, died Dec. 18, 2009, in Fort Walton Beach, Fla. He was the father of Janet Winkler of Fort Walton Beach and Donna Padgett of Rocky Mount, NC. He is also survived by son-in-law Ed Winkler, Janet's husband. Randolph was a retired locomotive fireman and engineer for the Atlantic Coast Line, Seaboard Coast Line, and CSX Corporation. Randolph owned timberland in Pender County, selling trees and a little land, and leasing a buffer to the Long Bluff Hunt Club. Born in Pender County Oct. 30, 1916, he first lived on his family's Canetuck farm. He then worked on his family's next farm in Nash County, where his father relocated to work in the railroad shops. A graduate of Benvenue School in Rocky Mount, he attended Atlantic Christian College two years. In between he served in the U.S. Army in 1936-37. 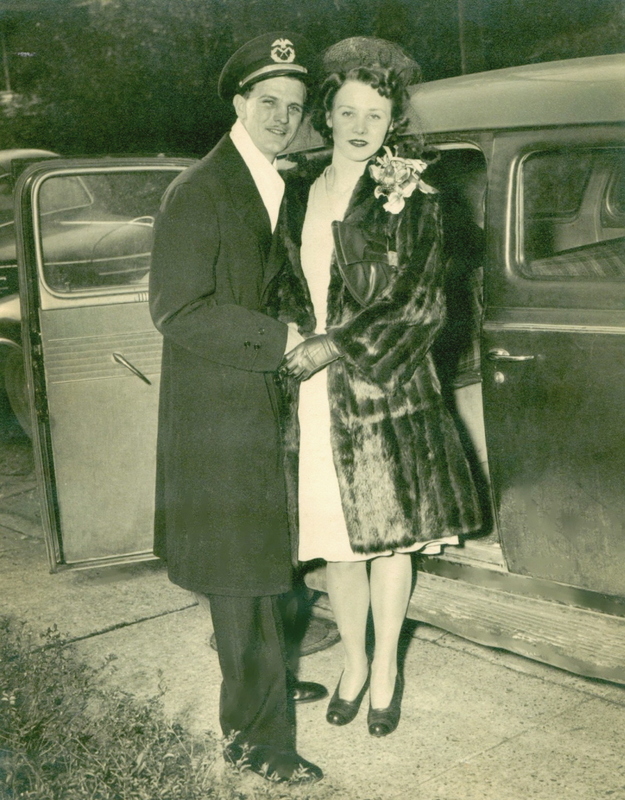 Randolph married Norma Ethel Stancil, daughter of pastor at Calvary Baptist Church in Rocky Mount, J. N. Stancil. Norma was daughter of Delanie Stancil (George Branch). Since 2004, he resided with Janet's family in Fort Walton Beach. Randolph was an avid reader, a dedicated gardener, a gleeful swimmer, and a fisherman as a pastime and for dinner. He enjoyed attending Railroad Old-Timers' dinners and Democratic Party functions. His grandchildren are Janet's children, Bonnie Martin, of Griffin, Georgia; Michael Brooks, of Culpepper, Virginia; Randy Marsh of Fort Walton Beach; and Sara Harrell, of Griffin, Georgia; and Donna's son, Barry Padgett, of Plano, Texas. Through Janet, he has 14 great-grandchildren and a great-great-grandchild, and through Donna, four great-grandchildren. The visitation is Tuesday, Dec. 29, 2009, from 7 to 8:30 PM at Wheeler & Woodlief Funeral Home, 1130 N. Winstead Rd., Rocky Mount, NC 27804. The funeral is Wednesday, Dec. 30, 2009, at 1:30 p.m. at the funeral home. Flowers will be accepted or a memorial may be made to Hospice and Palliative Care of Nash General Hospital. He will rest in Pineview Cemetery. Online condolences may be made to the Family of Randolph Moore at www.wheelerwoodlief.com. If you have any death notices to share, e-mail us at rennhinton@stancilreunion.com.